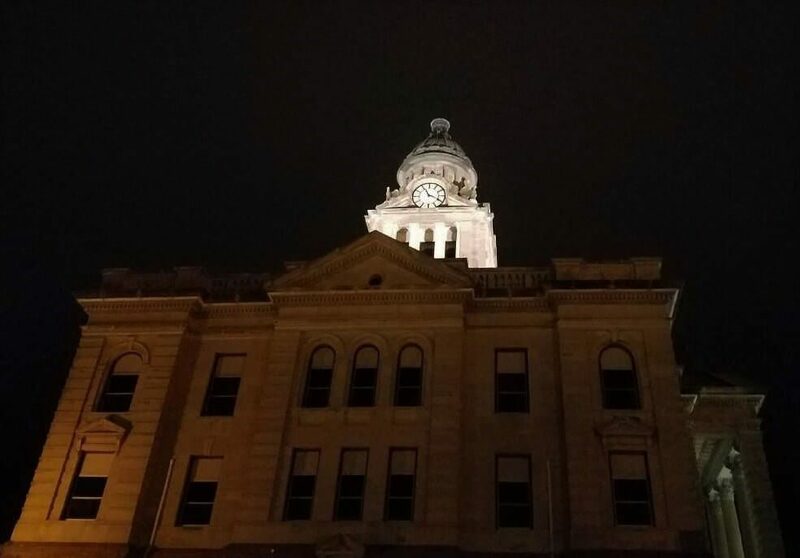 After more than a decade of darkness… The Courthouse Tower lights are now working! New lighting was installed during the roof replacement project. The new LED lights come with the ability to program lighting times and color schemes for different times of the year. The public will now be able to view the Courthouse Tower 24/7.